Hand painted and made from fiberglass resin. 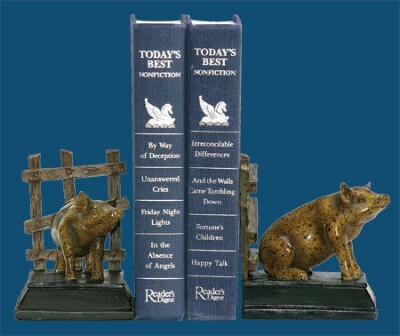 Very nice as bookends for a library or as a thoughtful gift! Ships in 7-14 business days plus transit depending on your location. The Pair Of Piggy Bookends are hand painted and come in a set of 2.